Two Iraqi Christians have been killed in a new wave of apparently coordinated bomb attacks in the capital just two months after militants massacred 46 Christians in a church in the city. A total of 14 bombs were placed at different Christian homes late on Thursday, an interior ministry official said on Friday. “Two Christians were killed and 16 wounded” by the 10 bombs that went off, while security forces were able to carry out controlled detonations of four other devices, the official said. The only deadly attack was in the central district of Al-Ghadir, where a home-made bomb exploded at around 8:00 pm (1700 GMT), killing the two Christians and wounding three others. Most of the 14 bombs, which targeted Christian homes in a total of seven different areas of the city, were in Karrada in central Baghdad, the official said. Three devices wounded three Christians in that area, while all four of the controlled detonations were also in Karrada. Another bomb targeted a house in Al-Ilam neighbourhood in southern Baghdad, wounding one person; two bombs wounded four people in Dora in the south of the city and one bomb in Saidiya, also in the south, wounded two people. Another device targeted a Christian home in Yarmuk in western Baghdad, wounding one, and a house in Khadra, also in the west of the city, was targeted by a bomb that wounded two people. The wave of attacks comes almost two months to the day after an October 31 attack by militants on Our Lady of Salvation church in central Baghdad, which left the 44 worshippers, two priests and seven security forces members dead. Al-Qaeda’s Iraqi affiliate, the Islamic State of Iraq, claimed responsibility for the attack and made new threats against Iraqi Christians. Imagine the outcry if the reverse were taking place. How loud would the howling be if radical Christians were blowing up the homes of innocent Muslims… and if some of those Muslims were being killed? The clamoring would be vigorous and passionate. 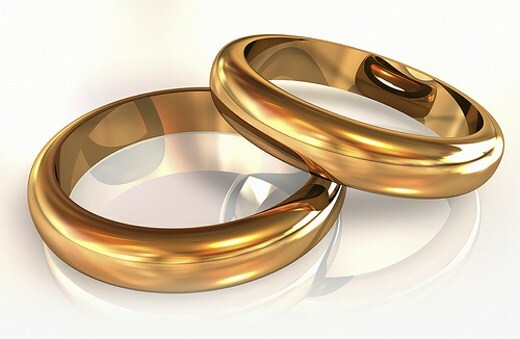 Can Marriage Be Just About ‘Love’?